Ironically, a spiritual practice can become the obstacle to self-realization. 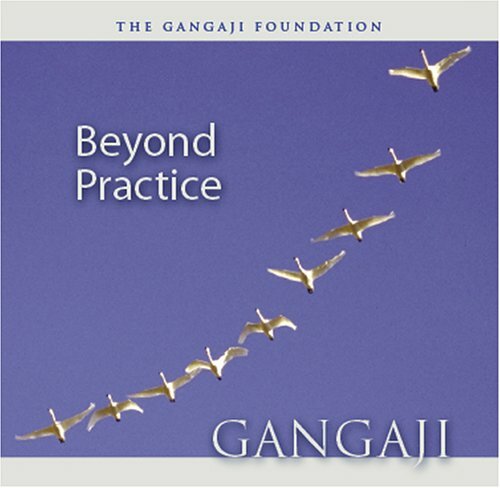 In this compilation Gangaji addresses the topics of meditation and practice, when they are useful and when they are a hindrance. Her invitation is to stop every effort toward what you think will give you truth and peace so that truth and peace can naturally reveal themselves in your heart. Born in Texas in 1942, Gangaji grew up in Mississippi. After graduating from the University of Mississippi in 1964, she married and had a daughter. In 1972, she moved to San Francisco where she began exploring deeper levels of her being. In her personal search for truth, Gangaji pursued a spiritual path. She took Bodhisattva vows, practiced Zen and Vipassana meditation, helped run a Tibetan Buddhist Meditation Center, and had a career as an acupuncturist in the San Francisco Bay Area. Despite her successes, Gangaji continued to experience a deep and persistent longing for fulfillment. She prayed for a final, true teacher. This prayer was answered in 1990 when she met Sri Poonjaji, a disciple of Sri Ramana Maharshi, on the banks of the holy river Ganga in India. In this meeting with her teacher, whom she lovingly calls Papaji, the true fulfillment she had sought throughout her life was revealed. Today, Gangaji offers Sri Ramana Maharshi and Sri PoonjajiÂ’s radical invitation to stop the search for fulfillment and enlightenment and to fully recognize the truth of oneÂ’s being, which is already completely whole, totally free, and permanently at peace. Each year Gangaji travels the world, speaking to thousands of people from all walks of life. A teacher, mother, and grandmother, she is the author of, You Are THAT! Satsang with Gangaji, Volumes I & II; Who Are You? The Path of Self-Inquiry; and Freedom & Resolve: The Living Edge of Surrender.